Maylou Johnson, a Port Orange, ARC Physical Therapy and Pain Center patient, had been suffering with hip pain for 17 years and knee pain for 10 years. Her hip was out of alignment and her chronic knee pain was the result of post-surgical pain. Her balance was affected as a result. Before coming to therapy at ARC, Maylou had been falling with some frequency and was in constant pain, leaving her unable to do any activities that required prolonged walking. Maylou would exercise on her own, but it was not effective for pain management or balance improvement. 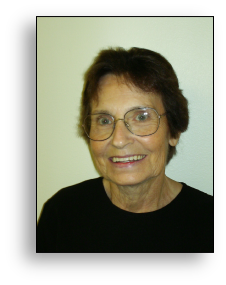 Because of her frequent falling episodes, Maylou’s primary physician recommended ARC Physical Therapy and Pain Center for pain management and balance training. Maylou was surprised how she felt just after the first visit. “I felt good for the first time in a while,” she said. Maylou's treatment included acupuncture, physical therapy, manual therapy, medical massage, cupping and moxibustion. After 14 visits, 17 years of hip pain and 10 years of knee pain subsided. “I can walk without the fear of falling! I have more mobility in my knee. I can actually lift it up now.” Maylou felt that the staff members at ARC were all very professional and caring, and said she would recommend ARC to anyone in chronic pain. I can walk without the fear of falling! Rosemarie Donoghue had been suffering with hip pain for 40 years, which had gotten progressively worse and became severe. Rosemarie believes the pain may have stemmed from an auto accident. “I would get sharp pains that would stop me in my tracks,” she said. “I stopped exercising, I had a hard time working in the yard, and I had gradually become sedentary.” Her husband received treatment at ARC Physical Therapy and Pain Center for arthritis in the back and experienced success. After seeing the relief that ARC was giving her husband, Rosemarie decided to try it herself. After Rosemarie’s first visit, she said, “I never realized how much pain I was in until the pain was alleviated. After my first treatment, I felt an overall sense of well-being. 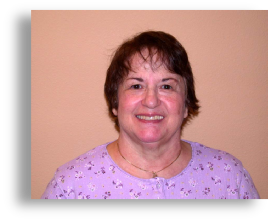 I really felt good!” Rosemarie has received acupuncture with stimulation, physical therapy, massage therapy and cupping at her treatments with the ARC therapists. Rosemarie has come to her visits faithfully three times a week for four weeks. “This is the first time in my life that I have followed through with something that required a three times a week commitment, and I’m 68 years old!” The reason she followed through was because she felt the treatments working. Rosemarie said in reference to the staff at ARC, “I wish I could take the home with me because they are the nicest most efficient group of people I’ve ever met!” Rosemarie went onto say how she tells everyone she knows about her and her husband’s success at ARC Physical Therapy and Pain Center. After 40 years of pain, I am able to have a life again!